Our goal is to provide Traditional Chinese Medical Treatments (TCM) such as Acupuncture, Tuina (Deep Tissue Medical Massage) and Herbal Medicine Remedies in a contemporary, approachable and friendly way. Tried, tested and proven over 4,000 years of practice; this holistic understanding of the human body creates balance and harmony. It has the respect of millions and is a great influence on Chinese culture. 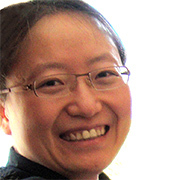 We treat a variety of issues and conditions at Contemporary Chinese Therapy. Please get in touch to see if we can help you! We use Acupuncture, Tuina (medical massage), Chinese Herbal Medicine and Qi Gong. Current medical research has shown that Acupuncture and Medical Massage helps to relax, relieve tension and improves well-being! For more information please see: Our Treatments and Our Services & Prices. Or please just call us! Join our Newsletter: sign up here! 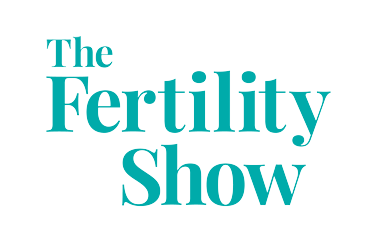 "I found Caroline through the Fertility Show 2017 and struck gold! I consider myself so fortunate to have met Caroline. Fertility doctors told me that at 38 I was in early menopause and that with low AMH and high FSH I had basically no chance of ever conceiving, if they had to put a figure on it, max 5%. I felt like whole world had caved in, I was completely devastated. I’ll never forget my first consultation with Caroline. I was a nervous, anxious wreck. I wouldn’t blame her if she thought I was a complete nutter. But Caroline was calm and patient with me and I felt comfortable with her straight away. She gave me a very thorough consultation. Caroline took it back to basics and taught me fundamental principles of TCM and ways of thinking differently. In February this year I fell pregnant naturally with my miracle baby. I am 100% convinced this is the result of Caroline and her team’s work!" 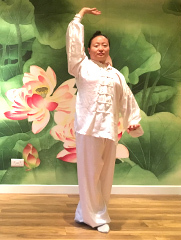 As a result of Grand Master Chang Ying Wang's UK visit, Caroline Cai is now fully authorised to teach and pass on this rare, powerful and ancient Kun Lun Qi Gong Yoga to all those who wish to study and learn it! "I just started a new set of Kun Lun Qi Gong Yoga classes, enjoying them immensely and finding they are considerably aiding my general wellbeing. You may ask is this Qi Gong from China or Yoga out of India? Apparently it’s a bit of both, conceived in the Himalaya mountains somewhere between the two ancient civilisations, these lifestyle exercises are thousands years old and bring with them significant wellbeing with a multitude of benefits. In the past I’ve attended many Qi Gong classes promoting physical, mental and emotional wellbeing as well as martial arts, never though, have I come across one as intense and effective as this one. It’s only the fourth class and the ensuing feeling of general wellbeing, contentment and positive disposition within myself is already very noticeable. So if you would like a completely new holistic experience, to balance physical, mental and emotional wellness, head down to the Contemporary Chinese Clinic for a course in Kun Lun Qi Gong Yoga – I highly recommend it." 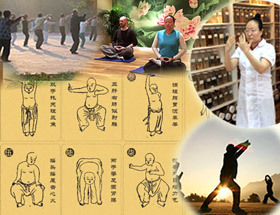 For more information about Kun Lun Qi Gong Yoga please contact us! Why are some of the world’s top athletes, such as US swimmer Michael Phelps, using Fire Cupping? Try it out! Fire Cupping: From £20 per session. Our experienced practitioners are fully qualified in Traditional Chinese Medicine, to provide Acupuncture, Tuina Medical massage and Chinese Herbal Medicine. We have many years of clinical experience in China & UK, and we have been successfully treating a wide range of clients for over 12 years. Note: For urgent appointments please call!